styled-components changed the way we style things however many people still use Sass, especially when they come from Rails (our case for instance). If you have something already done in Sass there is no reason for migrating to styled-components. Also, if you keep everything in Sass you can still export your compiled styling easily – like a bootstrap.css. They have a really good Slack, which is an endless source of knowledge. Addons are pretty useful and it is worth spending a time testing them. Knobs, for instance, lets you change props via browser. Quite handy. You can host your Storybook using Github Pages. It’s pretty straightforward and projects like gh-pages or branchsite get job done. You can also host your Storybook using Netlify. To be honest, this is my favourite approach because you can build the master branch as official documentation and build all additional commits – and get them in Pull Requests! There are a few different approaches here. I am using Babel to compile individually the ES6 component and webpack to build everything in one file. At the moment I write this post webpack 4 is beta. The performance improvements are quite stunning. 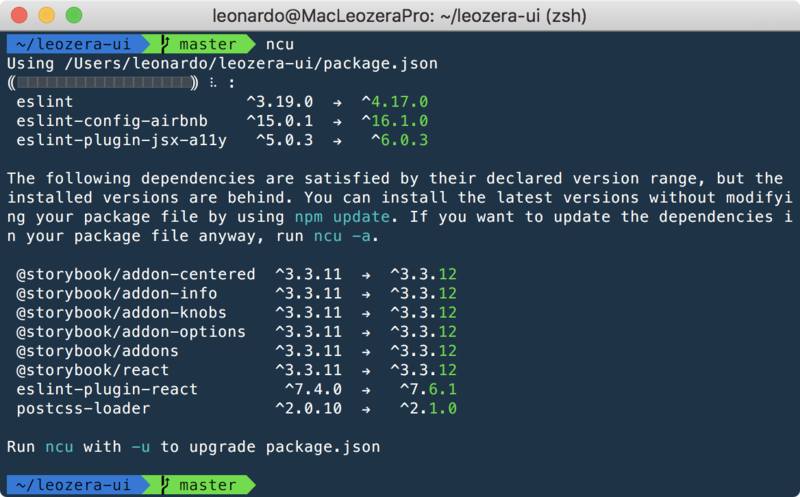 Again, there are different approaches to publish the library in NPM. For now, I have a `yarn run publish` command that will bump the version, build the library and publish the built `dist` directory. This approach is quite manual but packages like np, npm-bump and pmm can help here. You can also use yarn version – if you are a yarn person. I added CircleCI in the repository since I used to use on daily basis. It runs tests created by jest and after it uploads to Codecov the code coverage. Both CircleCI and Codecov are free for open source projects. Of course you can use Travis CI, and Coveralls, also free for open source projects. One project that I just figured out recently is the Node Security Platform. Its job is monitoring vulnerability threatens in your repository. Github also offers the same. If you are curious about the git commit AUTHORS.txt -m 'Update AUTHORS' || true. Not all the time we will modify the text file so I need the || true to ensure that the script continues to run even after git reports an error since there is no changes to commit. Thanks for my co-worker Akio for helping on this (and showing Netlify on reactjs.org repository) and my other folks from Thinkific.